Good overview but far too short. 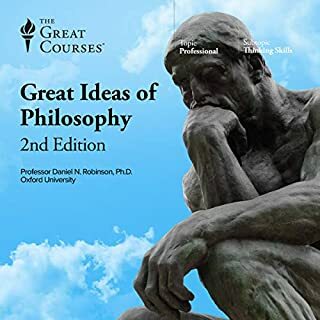 I enjoyed this course immensely. It is very difficult to summarise this work into a coherent fashion. The content was good and covered much ground. I felt his final lecture was incoherent and unsatisfying. I feel that his sweeping generalisations such as that art and culture not fading were posed as strong rehrotical devices less so about the truth of what brings all things together. The reading sources would be most interesting to follow up on. I think I now have a good grasp of the prevailing factors in the West. We are each products of a bygone age. 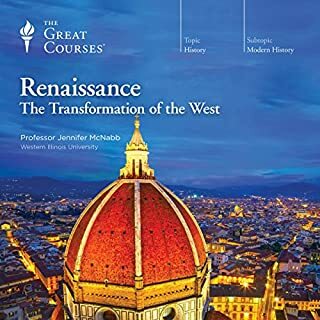 If you could sum up Foundations of Western Civilization II: A History of the Modern Western World in three words, what would they be? 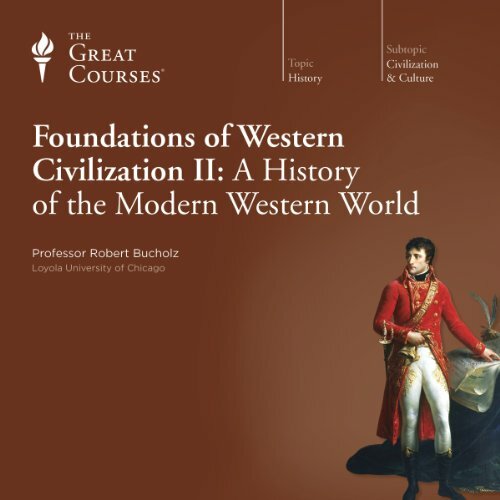 What other book might you compare Foundations of Western Civilization II: A History of the Modern Western World to, and why? The prequel. Much enjoyed - I recommended it. 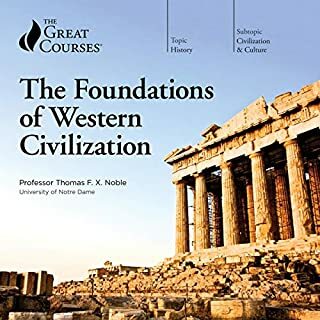 Foundations of Western Civilization I [Prof. Noble]. This covers the 4,500 years up to 1600. I found Prof Noble to be more objective and dispassionate than Prof Bucholz. It's also a period I knew less about. Prof Bucholz sometimes appeared to think that history should be a road of inevitable progress and ever more refined morality, and when there is a detour (or back step) it is a matter of personal regret and disappointment to him. I could hear the emotion in his voice. Clearly a decent bloke, but he enjoys amateur dramatics (in front of a "canned audience"). 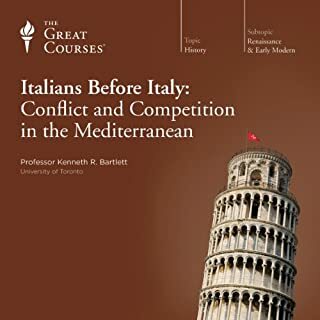 The narration is usually chronological (from c.1600 to about c.2005), with the pace changing according to whether the period has particular points of importance to discuss. Something is discussed in detail - and then we get something closer to a list [e.g. "I'm now going to be going all around Europe"]. 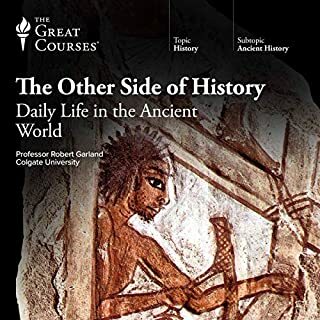 We probably have to have the lists in an ambitious history of this kind, but at times it can be a little tedious (battles, personalities, inventions etc) - especially if you are familiar with the material. At nearly 25 hours, probably not. It is broken up into convenient chunks. There is a constant putting of personal views or contemporary morality on to history. When it isn't specific, it is in the voice, e.g. sadness, deep regret, cheering up. I often agree, but it is not necessary. A number of times I found myself muttering "Good grief". Here are some direct quotes:"there were no modern antibiotics in the time of the plague" and ".. at his time there was no internet, radio or television" (as they didn't have electricity, not that surprising). "By modern American standards ... " (judging the Spanish Armada). "If you don't believe this you are either wicked or an idiot" (Prof. - even if you feel the evidence is overwhelmingly one way, always allow the possibility for new information or scholarship, whether it be 10 or 100 years ahead).That said, Prof Bucholz is pleasant company, though a bit over-emotional. He had a very difficult (near impossible) job and gave it a go. Well taught, fascinating content. 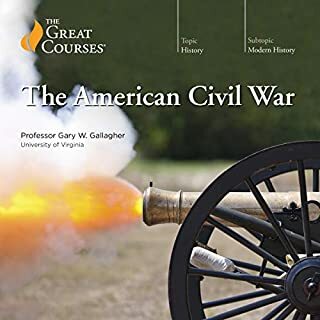 Cannot recommend highly enough for anyone interested in modem Western history, or as a general education in some foundational politico-cultural concepts. Made me reconsider much of my presuppositions on the last 500 years of history. I also really liked the narrator, quite objective on many issues. Listened to the whole lecture, well presented and easy to follow. Even if one is only interested in one branch of western history eg. French History, I believe this is still time well spent.